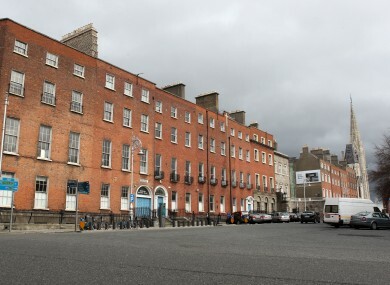 Georgian houses on Parnell Square in Dublin. HOUSE PRICES IN Dublin are now almost a third higher on average than the rest of the country according to a new survey. The MyHome.ie property barometer for the final quarter of 2013 found that there is now a 28 per cent price differential between prices nationally and in Dublin. This is compared to a 17 per cent difference a year ago. The average asking price in Dublin rose by 2.4 per cent last year and is now €241,000. The annual increase in 2013 was the largest such rise in seven years. Outside of Dublin the average asking price is now €189,000, down 5.6 per cent on last year according to the survey. There is, however, some signs of the slowing down of decline, with the 0.9 per cent fall observed in the last quarter of 2013 being the lowest such decline in the past six years. While the rate of decline in prices nationally continued to moderate throughout 2013, price increases in the capital, due in large part to a shortage of supply, has meant the divergence between Dublin and the rest of the country is growing and looks set to widen further in 2014. Currently there are approximately 3,000 properties on sale in Dublin, down 30 per cent from the same time last year. The survey also provides some details of sales in other Irish cities with Cork showing “strong signs of stabilisation”. Median asking price of properties in Cork City now unchanged for an entire year at €195,000 according to MyHome.ie. The biggest price falls are in Waterford and Waterford City with asking prices dropping by €20,000 in the fourth quarter of 2013 alone. In terms of the time it takes for sales to be completed, Limerick City has the longest average time to sale agreed at 10 months. In Waterford the average time is seven months, in Cork it is six months, in Galway it is five months while in Dublin it is three months. Email “Mind the gap: Dublin house prices almost a third higher than the rest of the country”. Feedback on “Mind the gap: Dublin house prices almost a third higher than the rest of the country”.